Caza Sikes is proud to partner up with our neighbor, Visionaries + Voices, in a common cause to promote great regional artists. This exhibition will be hosted at Caza Sikes, drawing from the talented pool of artists working in the V+V organization. This is a group show and will exhibit a range of styles and mediums. Art will be for sale and a percentage of proceeds will be donated to benefit Visionaries and Voices. 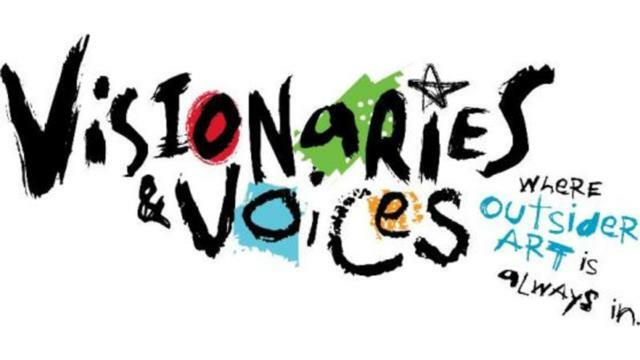 Established in 2003, Visionaries + Voices is a non-profit organization that provides exhibition opportunities, studio space, supplies, and support to more than 125 visual artists with disabilities. V+V artists actively contribute to the greater arts community through creative, educational, and strategic partnerships with local and regional artists, schools, and business leaders. V+V is growing a more inclusive arts community in Greater Cincinnati. The mission of Visionaries + Voices as an inclusive arts organization is to provide creative, professional, and educational opportunities. The organization helps create a world in which artists with disabilities not only produce and share works of art, but are also given continuous opportunities to learn, develop professionally, collaborate, exhibit, and celebrate with community members.